America meets Asia and all set in Sweden! Jay Fu’s can be found in the heart of Uppsala (just outside of Stockholm) on the upper floor of the Saluhallen indoor market, a top-end market/food hall consisting of stylish cafes, contemporary restaurants, independent retail shops and fabulous quality market stalls (however Saluhallen is currently under refurbishment and transformation). Enjoy your ‘spectacular’ evening of food and drink overlooking the beautiful view of the Fyrisån River and Kvarnfallet Falls. The cuisine is both beautifully presented and beautifully tasting offering American steakhouse style dishes with a welcomed and strong Asian twist. Good hearty sized meat and fish plates straight from the grill, such as the deliciously fresh fish of the day (that looked like a piece of art) the amazing T-Bone steak that will have you full until at least the next day and beyond, one of the most delicious tasting mash potato accompaniments sampled in a LONG time (Potato’s mouse) and a seared tuna dish could stop traffic! Amazing! Desserts were equally dangerous, as was the fantastic drinks menu, consisting of top quality wine choices, a wide selection of cocktails, beers and soft drinks, offering something for all and with its pleasant and contemporary interior, you will feel relaxed but not stuffy. Apparently the restaurant’s brand name and interior theme are ‘inspired by Kung-Fu master, stunt man, and restaurateur Jay Fu and his American-Asian steakhouse that flourished in the California desert in the 1960s and 70s’. 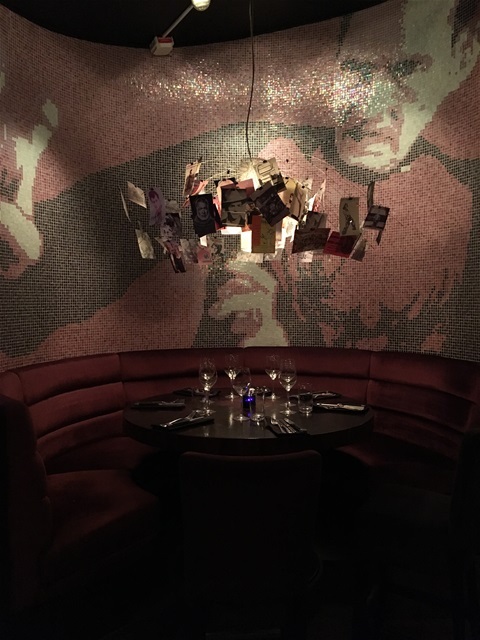 Rated locally as one of the best restaurants in Uppsala, we can verify that, the service was precise, the food was like an art (in both flavour an ascetic) and the location was outstanding.